Social research is central to arts for actions process, and is used in the creation, development and evaluation of all of our projects. Social research enables us to improve our practice, understand how to influence attitudes and behaviours, and create work that is responsive and relevant in the communities where we work. It also helps build the body of evidence around impact and the value of using arts for social change. Qualitative research techniques used in development tend to privilege verbal accounts collected through interviews, focus group discussion or (where theatre is used), role-play. While extremely valuable, we have found during our work that these accounts often fail to capture crucial aspects of people’s experience. People are often careful about what they say out loud or repeat the dominant or ‘acceptable’ versions of events. We observed during workshops and rehearsals that where and how different people stand and move often tell different stories. We might be told that women are equal participants in decision-making – but we see them standing back to ensure they do not occupy too much space in the rehearsal room. What might this mean? These observations led us to develop a series of research tools that use interactive theatre techniques to capture the significance and meanings of body gesture, movement and positioning and organisation/management/appropriation of space by bodies. All of these give us important insights into the social relations, hierarchies and structures in which people live and take action. Combined with more traditional data-gathering, we are able to get a far richer sense of the contexts in which we are working. Activators model – the programme used interactive communications to identify specific issues facing communities related to HIV/AIDS and used interactive educational methods to demonstrate behavioural change. 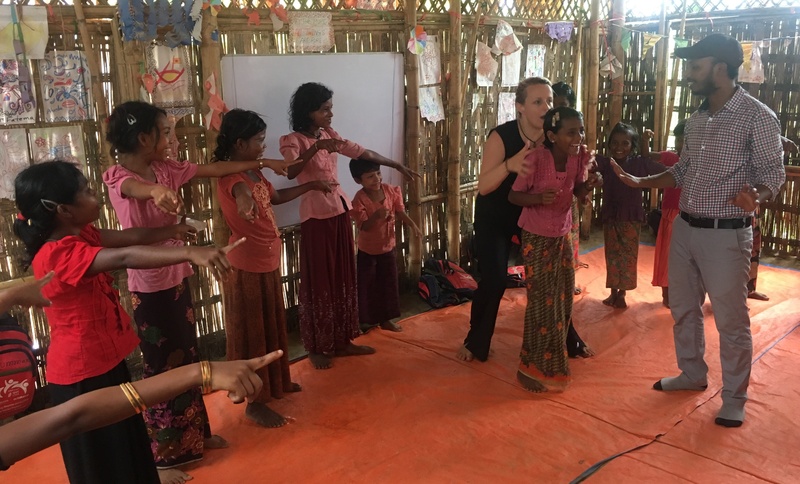 Clean Acts– the programme used theatre workshops with 90 children to help identify barriers to hygiene, which was then used to inform the development of training for WASH education field staff. British Council strategy development – extensive partner consultation and research development into the arts and culture sector in Zimbabwe, including funding, value brought and perceptions.